Insulated Food Servers Buy 1 Get 2 Free. these insulated food servers are the revolutionary way to keep hot food hot and cold food cold ideal for dinner parties picnics and barbecues. they are insulated with thermal polyurethane foam (the most efficient insulator) and have mirror finished stainless steel linings that are both hygienic and odourless. they reduce the need to reheat food retaining moisture and valuable nutrients. the twist and lock lid when closed forms a seal ideal for transporting food. robust and shock resistant they can also be used as ice buckets. 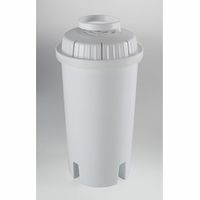 buy the large insulated food server (2.5l/85floz) and get the two smaller ones (1.5l & 1l / 50floz & 35floz) free! This product page was last updated on 2019-03-21 20:33:57. The Insulated Food Servers Buy 1 Get 2 Free product is part of the Coopers of Stortford Cooking product range. 1. Coopers of Stortford website product page Insulated Food Servers Buy 1 Get 2 Free. Retrieved 2019-03-21 20:33:57.